It seems rather odd to me that there is such a dearth of good ramen shops in the City. While visiting a friend that lives in J town we headed to Tanpopo for a quick bite. Not bad. After a couple more trips, I've tried the Karamiso and Ankake Ramens, as well as the Chahan. The karamiso was a spicy broth with good flavor, not overly salty and the noodles were slightly chewy. The soup was good, though the three pieces of cha-su were on the dry side and lacked any fat. The noodles themselves were o.k., but not chewy enough. The next time I had the ankake ramen, a thicker soup with ground pork and cha-su. This time the cha-su had some fat and was much juicier, however the noodles were slightly over cooked. This was a late lunch, so perhaps they had pre-cooked the noodles for too long. Again a decent showing of ankake style soup, though I prefer the karamiso. 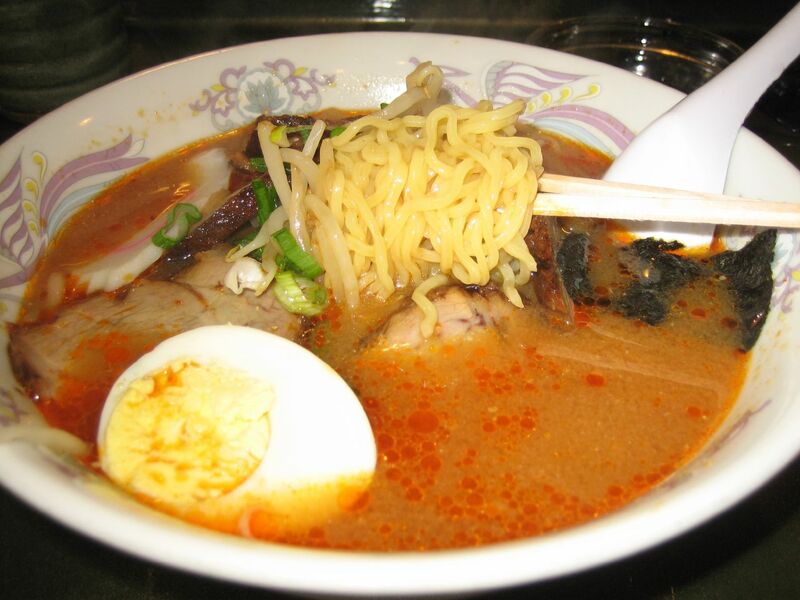 On a ramen rampage, I had recently been to Ramen Halu in San Jose. The ramen noodles at Halu were much better than those at Tanpopo, but the Halu soup was over salted and lacked the depth of the karamiso soup here. So Tanpopo could improve a bit on the noodle front. Finally, I had a bowl of the cha-han which was light and flecked with smokey bits of dark brown flakes of pork. Good enough to order again, though nothing particularly outstanding. Judging by the tables around us, it is a very popular item. The lunch menu is a good deal and the place is always busy. The service is efficient, making everything move pretty quickly, so there's no wait for a table.